Orla Derrane will take part in the Ras Al Khaimah half marathon in February tor raise funds for Crumlin Children's Hospital and Canteen Ireland. 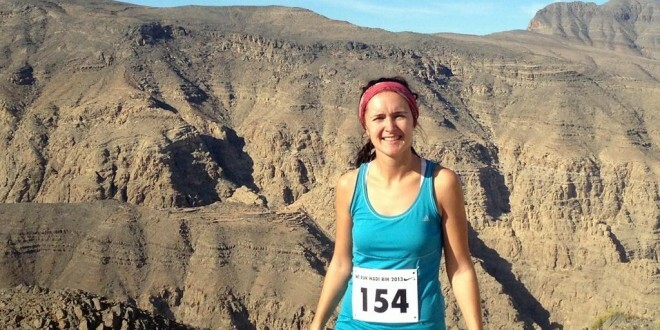 A CLARE woman will be running in the desert next month to raise money for two Irish organisations close to her heart. Just over a decade after her own cancer battle, Orla Derrane from Knockaderry, outside Ennis, will remember all those who helped her when she takes part in the Ras Al Khaimah half marathon, raising funds for Crumlin Children’s Hospital and Canteen Ireland, a support organisation for teenagers with cancer. Orla has lived in Dubai in the United Arab Emirates for over five years. She moved there when she was 20 and has been teaching there ever since. “When I moved out first, I moved with a friend and hadn’t done a whole pile of research. My mother encouraged me; she always said it was good to travel. When I was coming out first, I thought I would have to cover up all the time. I was really naive but I found it to be more liberal than I expected. I made lots of really good friends, especially at work, and we all started in the GAA club together,” Orla recalls. The former Rice College student was diagnosed with acute lymphoblastic leukaemia in January 2001. “Owing to my age and the progression of the cancer, at the time of diagnosis I was put on what was called Regime B treatment, the second most intense of treatment regimes. The cancer was treated with chemotherapy and, thankfully, I never needed a bone marrow transplant or radiotherapy. Most of the chemotherapy was administered in Our Lady’s Hospital for Sick Children, Crumlin, with some thankfully being able to be administered more locally in Limerick,” she outlines. While Orla has great respect for the staff who treated her, she felt the facilities were less than an ideal for a 15-year-old. “The nurses and doctors in Crumlin were amazing and to them I owe my life. The level of care I received was unbelievable at times, with my consultant, the only paediatric oncologist and haematologist in the country at the time, giving me his own personal mobile phone number which he assured me I could ring at any time should I have any concerns or worries. The nurses in the oncology unit and the chemo ward worked so hard and were so caring at the same time,” she recalls. “The facilities in Crumlin were a little lacking, however, and I always shared rooms with children much younger than me. I of course, as a teenager, was trying to be as independent as possible but the treatment made me more dependent on my parents than I had been in a long time. This, coupled with spending days on end watching Barney in the company of five-year-olds was really not what I had envisaged for myself that year. I was, of course, sympathetic. They didn’t understand what was going on, only that they were sick, so I had to at least give them a monopoly on the television-channel choice,” she says. “The hospital is looking to raise €1,000,000 to update facilities. Since my time being treated there, they have introduced a teenage cancer treatment room and are looking to add more private rooms, so that families can deal with their situation in privacy,” she explains. Orla joined Canteen Ireland, a group that supports teenagers during and after their treatment. Because she was weak, she was slow to meet them initially but this changed and through the organisation’s activity weekends, she got the chance to spend quality time with her sister and start to have fun again. “I made some great friends through it and it drew me out of the feelings of ‘why me?’ that circled around in my head sometimes during tough treatment. They made me see that there were others in similar situations and those who were also worse off,” she recalls. “The group was really instrumental in helping me keep a positive attitude throughout treatment and so I feel it is hugely important that it is as accessible as possible for those going through treatment,” she adds. 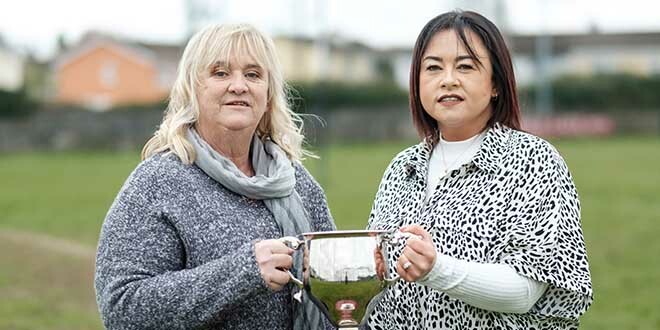 Orla always wanted to get back to sport and last summer she began to think about the fact that a decade had passed since she finished her treatment for cancer. “Moving to Dubai kind of gave me a new lease of life and I took up football with the Dubai Celts GAA Club. Five years on and I now find myself in a position where I might just manage a half marathon, so I figured why not try and give something back,” she explains. “I got it into my head at the beginning of this school year. I would always have done a bit of running but because it is 10 years since I finished chemotherapy, a half marathon seemed to be enough to get me a bit sponsorship but to also be an achievable distance for me,” she explained. Orla loves living in Dubai, even putting herself forward to represent the city for the Rose of Tralee in her first year there. Her parents and friends have all visited her and she has travelled extensively since her arrival in the UAE. She has made great friends and these have been particularly supportive of her half-marathon endeavour. “I have a lot of friends who have come out running with me to encourage me along and keep me company. Some of them, as soon as I said I was going to do this, signed up to do a relay just to be there and support me. Others who have been running for longer are going to do the whole thing. I’m looking forward to it. We will all go down the night before and the race is early in the morning in case the day gets too hot, so we’ll come back together that night. I have raised €2,200 in sponsorship already and that is mainly from people over here that can see the work I’m putting in but hopefully we’ll get even more for Crumlin and Canteen,” she says. Ras Al Khaimah produces some of the fastest half-marathon times in the world because the route is flat and relatively straight. Orla hopes this will make finishing it a little easier. “I have been training. I did a lot of 10km runs before Christmas. I ran a 12km this week and next week I’ll progress to a 14km,” she outlines. “At the moment, the conditions aren’t too difficult. They would be in the summer if you were to try to keep running throughout the year. It is about 20oC at the moment. The races start early around 7am and I don’t run in the middle of the day,” she adds. The primary school teacher has begun writing a blog about her experience, which can be read on http://orladerrane.blogspot.ae/. She has also set up an online sponsorship idonate.ie/orlashalfmarathon.